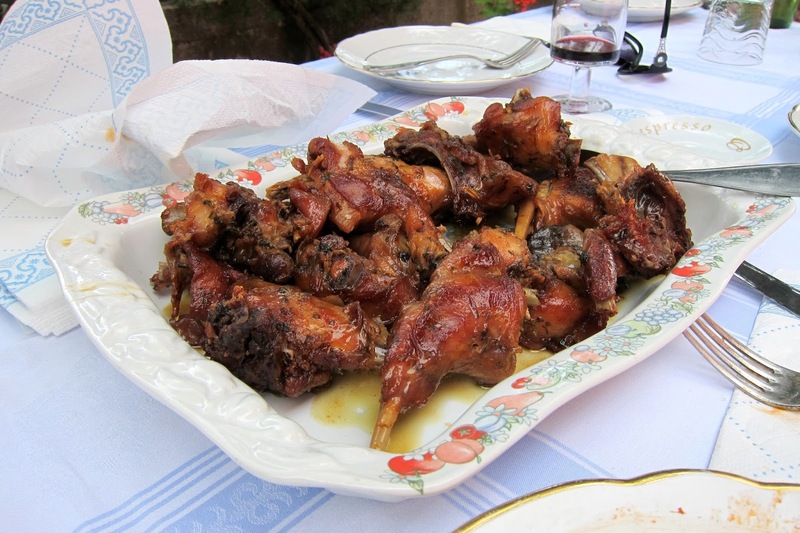 Home grown roast rabbit cooked by my 80 year-old Italian Great Aunt at their farm in Abruzzo, Italy. I count my lucky stars that I was brought up in a family utterly obsessed with food, in a good way. My Italian father grew up in a poor, rural Italian village who worshiped food more than their Catholic patron saints! My Italian Nonna is potentially the best cook in Northern Melbourne. Her substantial backyard vegetable garden is a work of genius. Mum said I had a knife in my hand, helping out in the kitchen, from the age of two. I remember cooking Golden Syrup Dumplings (my signature dessert) for the whole family when I was eight. I've always loved cooking and everything it entails - farmer's markets, grocery stores, cooking shows, cooking utensils (especially knives and chopping blocks! ), nice kitchens, wine, etc. I'm not pedantic though. I'm a pragmatic cook. If it can't be prepped, cooked and cleaned up in 20 minutes I'm usually not interested. I use simple ingredients - the highest quality I can afford. I'd rather settle for great mackerel than average steak. I use as few ingredients as possible for simplicity and I believe, taste. The true Italian way. This ties in perfectly with Paleo eating - simple, fresh, minimal cooking. I hope you enjoy my basic recipes, meal ideas and amateur food photography!